Welcome to my world! : blog oh blog! can a blog really benefit you? 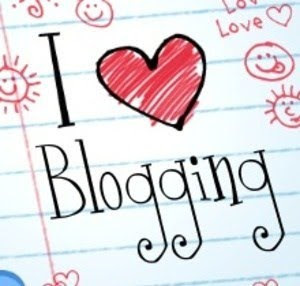 heyy do u know owning a blog and posting on it can be an interesting and fun way to share information with the world, but what are the real advantages and disadvantages of Internet blogging today? Many of the advantages and disadvantages of Internet blogging can be judged by the type of blog being maintained. For example, some of the things that are advantages for personal blogs may actually be disadvantages for business related blogs and sites. The quick and easy way that a blog can be updated is a great advantage to bloggers, especially personal ones who want to be able to keep a daily log of events. This ease, however, can lead to unreal expectations for business blogs, where visitors might expect them to be updated each day, even if that's not possible simply typing in some text and letting the whole world be able to read what is going on in your head. This same advantage can be a disadvantage for a business blog as well. While writing in a blog that is business related, it can become all too easy to start writing in a conversational tone, or to express some personal feelings towards your company that might be misconstrued.There are definitely some advantages to running a business blog, however. The easy way your blog can be updated does mean that you will be able to post new information quickly – and get it to your customers and clients just as fast. You will also be able to keep everyone informed of new policies, products and other important info without having to send out massive emails or snail mail. You can also drive traffic to your business site from your blog – by having links on your site as well as others'. Just as there are advantages to having a business site, there are disadvantages to having personal sites. One of the biggest is posting too much personal information. This can come in the form of putting in particular information (your full name and address, for example) or “saying” something in one of your posts that you may regret later. Although you can easily delete posts that you have written, blogs have a funny way of staying in the memory of search engines – such as Google. It's important to never post something that you might be afraid will come back to you. The advantages and disadvantages of Internet blogging are numerous, but ultimately it is up to us to decide whether or not blogging is something we would enjoy or profit from. Blogs are a great way to communicate and experience the Web if we used correctly.